RALEIGH, N.C. – Duke Energy has selected eight North Carolina properties for participation in this year’s Site Readiness Program to prepare them for business and industrial development. The company’s award-winning endeavor identifies high-quality industrial sites in its service areas then collaborates with county leaders and local economic development professionals to develop a strategy for providing water, sewer, natural gas and electricity to the parcels. The Burlington #3 site in Alamance County is a 200-acre tract that is the next industrial vision for the county’s growth. "As a local economic developer, I consider this program to be a real value-add to our own local efforts and appreciate Duke Energy being a proactive partner,” said Mac Williams, president of the Alamance County Chamber of Commerce. “This program focuses on local property issues, which helps communities prioritize limited local resources to better compete for jobs and tax base." A 73-acre site in Anson County owned by the town of Wadesboro. Located between Highway 109 North and Airport Road, it is a prime location for an industrial park. The 160-acre Boardman site is a joint venture between Guilford and Rockingham counties, and will be the first development in a historically rural part of both counties. The site is strategically located on what will become the new I-73 corridor coming south out of Virginia. A more than 300-acre site in Lenoir County is situated off the NCRR/Norfolk Southern main line on a rail spur leading to the NCGTP. This site has the potential to accommodate warehousing, distribution, refrigeration and other projects. "The site readiness program enables communities, especially rural ones, to make sites ready for economic activity,” said D. Mark Pope, executive director of Lenoir County Economic Development. “The program partners communities with allies to effectively attract and be proactive in developing sites to create jobs and be more competitive in today's market." A 140-acre site in Rowan County in the Henderson Grove Church Road area is being evaluated as a potential future site for economic development projects. The Wade Matheny Farm site is the newest industrial location in Rutherford County. This 153-acre site located next to Forest City is adjacent to the U.S.74 Bypass with excellent access to both I-85 and I-26. The site also offers the potential for rail service. "Rutherford County has benefited in the past from Duke's building readiness and site readiness programs. We look forward to continuing our partnership with Duke to examine and promote our properties,” said Tom Johnson, interim executive director, Rutherford County Economic Development. “Duke’s engagement in the rural parts of North Carolina is unique and very much appreciated and more specifically this program directly led to the location of a $500,000,000 project a few years ago." The Scotland County Airbase Road site in Scotland County is a 364-acre property the county has plans to acquire. The site has infrastructure in place located near Wagram, close to the former West Point Stevens facility, and is adjacent to Cascades Tissue. The Bryan Holdings property in Wayne County is 118 acres and has all infrastructure either in place or nearby. The site is located within a mile of the new Highway 44 connector to I-795. 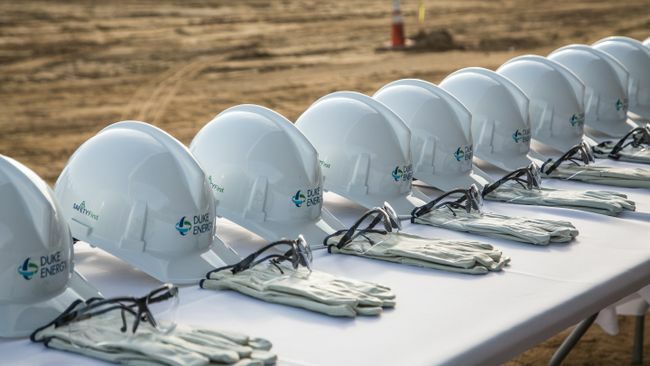 After each site’s state of readiness has advanced, Duke Energy’s business development team strategically markets each of them nationwide to companies looking to expand or relocate their operations. Sierra Nevada Brewery is an example of an economic development win for the state. Henderson County tourism and economic activity have been boosted by the brewery. And it all started with a piece of property, a vision for the future and a partnership with Duke Energy. “This program is a cornerstone of our efforts to increase the awareness of high-quality industrial sites across the Carolinas,” Geib said. Duke Energy works with McCallum Sweeney Consulting, a nationally known consulting firm based in Greenville, S.C., to conduct site studies. McCallum Sweeney has been instrumental in many high-profile automotive and industrial relocations and expansions. In 2015, Duke Energy helped recruit more than $1.2 billion in capital investment and more than 3,200 new jobs to North Carolina. Since 2005, a dedicated team of experts recruited customers with capital investment of approximately $21 billion. Those efforts produced more than 81,000 associated jobs for the state. So what’s the secret to a winning record when it comes to growing the economy? For more information about Duke Energy’s economic development programs, visit considerthecarolinas.com.